TJLE has a new editorial team! Welcome to the new home of the Texas Journal of Literacy Education. This is the official journal of the Texas Association of Literacy Education (TALE), the state affiliate of the International Literacy Association. Read More Read more about TJLE has a new editorial team! 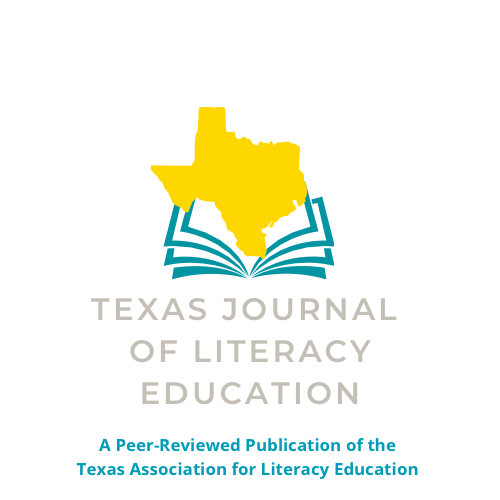 The Texas Journal of Literacy Education is the official journal of the Texas Association for Literacy Education (TALE), the Texas affiliate of the International Literacy Association. TJLE is a peer-reviewed journal published twice each year. We seek original research and practitioner articles related to language and literacy practices, from early childhood through adult, inside and outside of the classroom. We welcome all voices from literacy researchers, classroom teachers, and graduate students. Please click on the Make a Submission link to submit your manuscript. Please don’t hesitate to email the editors at tjlejournal@gmail.com if you have any questions. TJLE is the official journal of the Texas Association of Literacy Education, the Texas affiiliate of the International Literacy Association.